What’s The Value of Using Office Partitions? What you need to understand about working in an office is that the environment can change day to day and even hour to hour. One minute you may be working in complete silence and the next you could be working in absolute chaos. Whether it’s a small office, individual offices or a large open office the mechanics are the same and the effects quite similar. As you’ll be aware the environment in which you need to work changes depending on the type of work you are completing. Sometimes silence is key to getting your work done quickly and efficiently as it gives you the head space you need to concentrate. Other tasks however may require you to hold discussions with colleagues whether this be those on your team or with everyone in the building. With so much going on in an office it can be challenging as an individual to achieve the environment which you desire. Whilst you may want silence those around you may need to partake in group discussions. As a result you can be left feeling overwhelmed with noise and distractions that make it difficult for you to work. Employers are well aware of the many problems staff face when working in offices and therefore try to provide solutions for their workers. 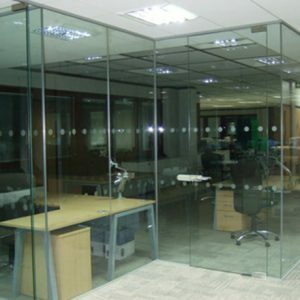 Office partitions are just one of the many solutions available and quite possible one of the most effective. Office partitions are basically full length walls that aren’t solid fixtures. They are faster, cheaper and quicker to install than solid walls creating little disruption during installation. 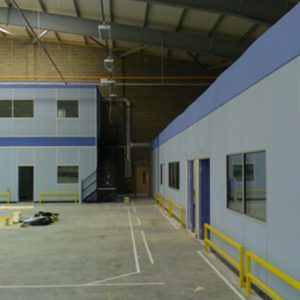 Partitioning walls can be made to meet your every need and can be constructed out of various different materials. If you are looking for a permanent wall this can be done with ease however the walls can also be made transferable allowing you to change the layout of your office to meet the needs of workers. When looking to cancel out noise you may want to consider glass partitions as they allow you to see what’s going on around you. They also allow plenty of natural light to flood the office making it feel light and airy for positive vibes throughout the day. If however you are looking for both noise cancellation and privacy you may want to consider the use of frosted partitions. These are great because they allow plenty of light through but make it difficult and sometimes impossible for people to see through them. There are of course other options available aside from glass and the material you choose to use is entirely down to preference. 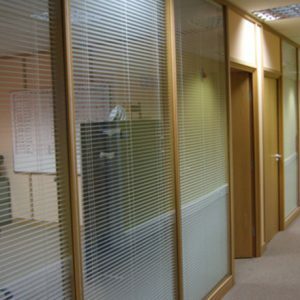 If full length partitions aren’t what you are looking for and you just want something that provides staff with their own space, then desk partitions could be what you are looking for. Desk partitions sit between employee’s desks creating personal spaces for employees. It is still possible to see one another above the partition but they do offer a sense of privacy whilst working. As well as this they also provide some privacy for those who often eat sandwiches or packed lunches at their desk.